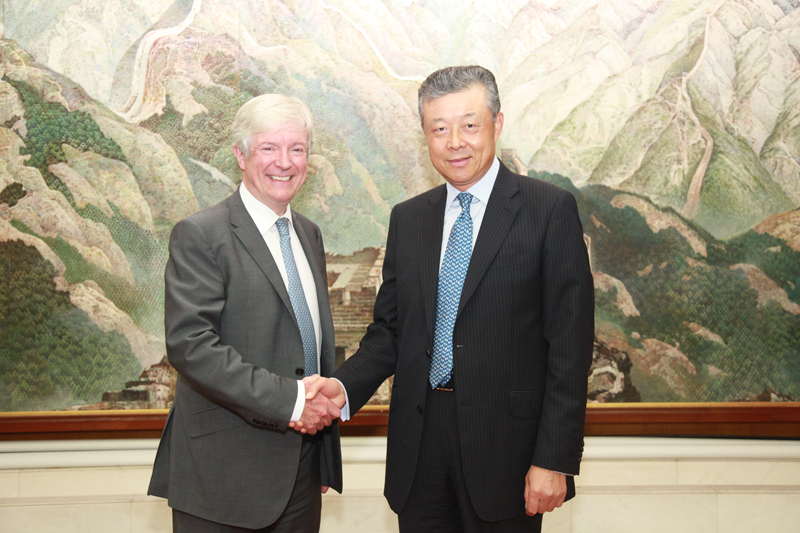 On Sep 28, 2017, Ambassador Liu Xiaoming met with Tony Hall, the Lord Hall of Birkenhead CBE, Director-General of the BBC at the Embassy. Jamie Angus, Deputy Director of BBC World Service Group and the Editorial Director of BBC Global News Ltd. was present. Ambassador Liu noted that the upcoming 19th National Congress of the Communist Party of China (CPC) is the most important political agenda this year. It will point to the direction and map out the blueprint of China's development in the next five years and even a longer period, and consolidate the "Golden era" of China-UK ties. He expressed his hope that the BBC would, in its coverage of the congress, report on the messages of the congress comprehensively and accurately, and present a true picture of the 19th National Congress of CPC for BBC's domestic and international audience. Ambassador Liu said that the BBC is a media with global influence. China values the cooperation with the BBC and appreciates its efforts in reporting on China. However, one should not lose sight of the fact that there were prejudice and misunderstanding in some of the BBC reports on China. The Ambassador hoped that the directors and journalists of the BBC would fully recognize China's development in various fields and its contributions to the world, report on China objectively and fairly and add positive energy to China-UK relations. Lord Hall said that the BBC attaches great importance to reporting on China and pays close attention to the 19th National Congress of the CPC. It will give the congress extensive coverage, improve its reporting on China at the same time, and help the British people see a real China.